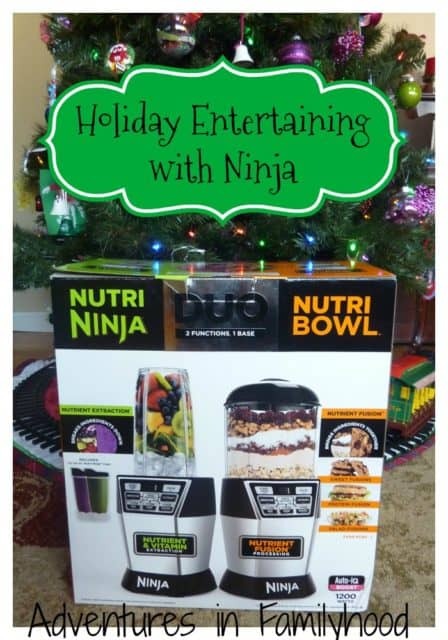 I received a Nutri Ninja Nutri Bowl Duo for free in order to facilitate this review. All opinions are my own. Holiday entertaining just got a lot easier! Thanks to the new Nutri Ninja Nutri Bowl Duo, you can whip up delicious dips, tasty appetizers and festive drinks in no time. Christmas Eve is traditionally an appetizer night in our house. It’s usually the day when family arrives, so we try to make the festivities as low key as possible. I make a variety of appetizers including dips, cheeses and some hot appetizers. It’s nice having a night to relax with the family before the merriment of Christmas Day commences. Even though our house will be empty this year, we still plan on having a casual Christmas Eve with just the four of us. 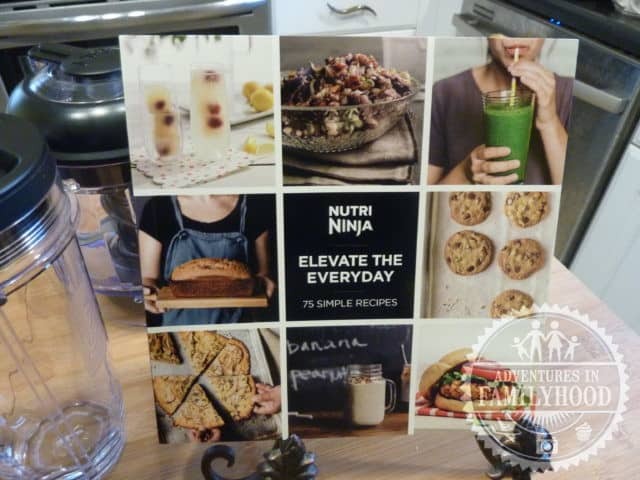 I was so excited to get my hands on the new Nutri Ninja Nutri Bowl Duo. Not only will this be a great everyday use product, but it’s going to make my Christmas Eve appetizer preparations a snap! Say goodbye to both your food processor and your blender because the Nutri Ninja Nutri Bowl Duo does both their jobs and then some. The product includes one base with two interchangeable vessels. The Tritan Nutri Ninja cups are designed for Nutri Extractions such as vitamin packed juices or smoothies. The Nutri Bowl blends up Nutri Fusions such as burgers, desserts or your favorite frozen concoctions. Both vessels come with precision sharp blades, able to breakdown whole foods easily. In addition, the product comes with a dough blade, perfect for making homemade pizza dough. What makes the Nutri Ninja Nutri Bowl Duo so special is its Auto-IQ Boost technology. This gives you the power to control the texture of your creations. The machine blades will pause and pulse to give you your desired consistency at the touch of a button. All of this seems complicated at first. Thankfully, Nutri Ninja provided a detailed users manual and recipe guide. With full color photos and diagrams, you’ll be ready to use the product in no time. I always like to put out a little something healthy. It’s usually a nice veggies and dip. 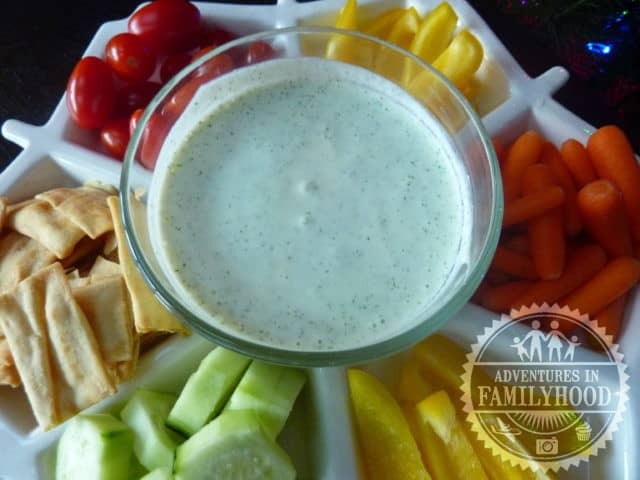 Using the Nutri Bowl, I made this Tzatziki-Inspired Dip. The Auto-IQ Boost helped the cucumber, garlic and dill become finely chopped. I love spinach and artichoke dip. 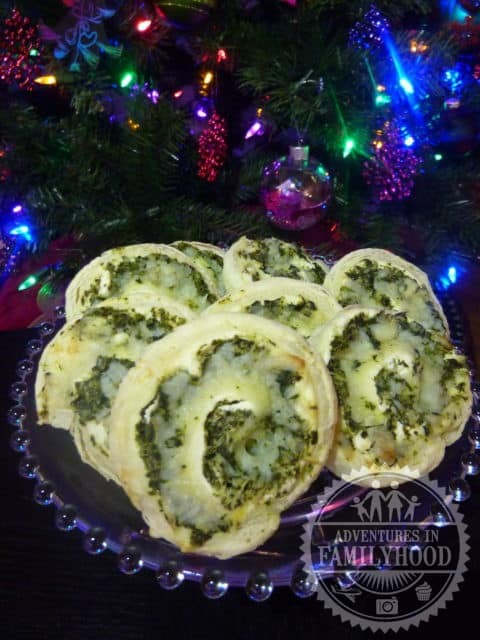 I used the same flavors to create these Spinach and Artichoke Pinwheels. The filling was easily made in the Nutri Bowl. Other times I’ve made these, I had to chop the ingredients by hand. This way the filling was well blended and was much easier to spread on the puff pastry. 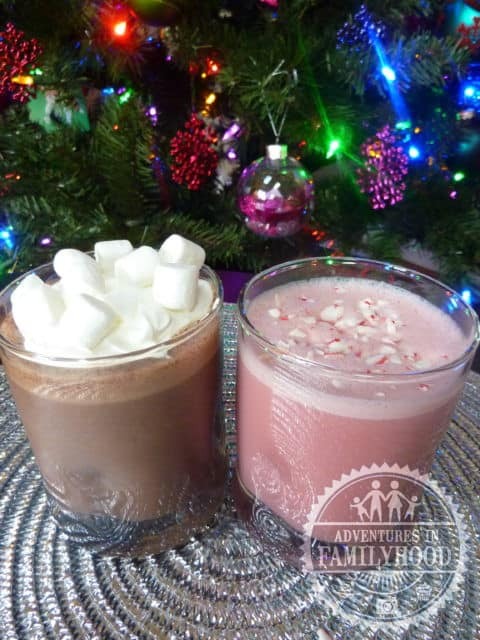 I originally set out only to make the Crushed Peppermint Frozen Frappe from the Nutri Ninja cookbook. But my little guy is not a fan of peppermint (just like his momma), so I made him a chocolate version. I substituted all the peppermint ingredients with chocolate ones to create a Frozen Hot Chocolate Frappe in the Nutri Bullet just for him. The only negative I found is that the machine is very loud when in use. If your kids are sensitive to sound, make sure they’re far away from the kitchen or are wearing a nice pair of noise canceling headphones. 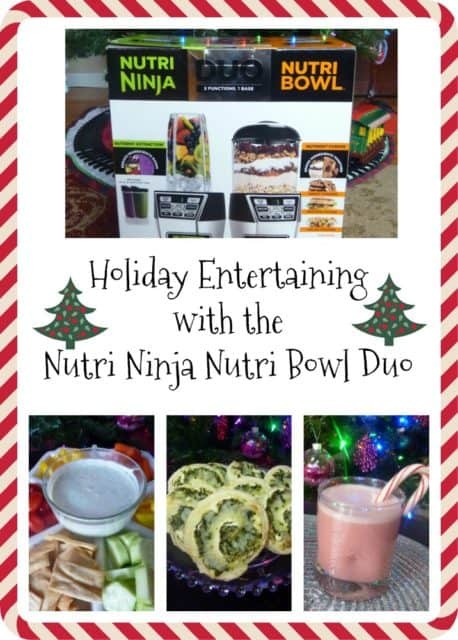 I can’t wait to keep using my Nutri Ninja Nutri Bowl Duo throughout the year. The possibilities are endless . What would you make if Santa brought you one of these? 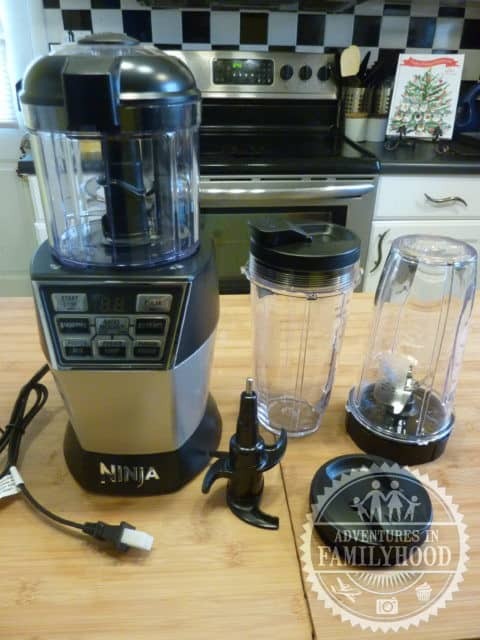 I received a Nutri Ninja Nutri Bowl Duo for free in order to facilitate this review. All opinions are my own. This post contains affiliate links.